The Russian Federal Air Transport Agency, Rosaviatsiya, reported that significant shortcomings were found during a safety audit of Tatarstan Airlines. 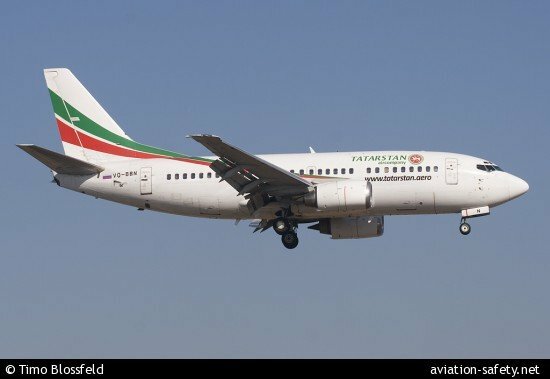 In a statement, Rosaviatsiya reported that an unscheduled inspection had been carried out at Tatarstan Airlines following the fatal November 17 accident involving a Boeing 737-500 of the airline. Results of the audit revealed significant shortcomings in the organization of operational activities of the air carrier. Violations were found in personnel training, observing the duty and rest schedules of members of flight and cabin crew and other omissions, indicating a mismatch with the operator certification requirements. Rosaviatsiya will recommend the suspension of the airlines AOC. The agency also stated that it would carry out inspections of other airlines based in Tatarstan as well as the Tatar interregional territorial department of the Federal Air Transport Agency of Air Transport, responsible for the oversight of Tatarstan Airlines.